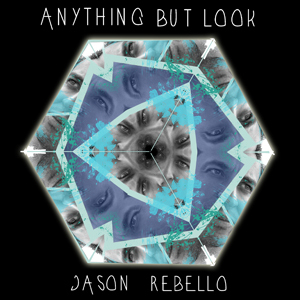 A NEW solo studio release from Jason Rebello was always going to be something of an event, given his track record as one of the UK’s most respected jazz/rock keyboard players – and, with an album a year in the making, he’s certainly back with a funky, soulful BANG! The excitement of ‘Anything But Look’ is due, in part, to so many of its ten originals having considerable commercial appeal (easily radio hits) – yet, delving deep into the detail, there is much to savour in terms of differing vocal performances, shifting time signatures and modulations, clever tricks, flicks and textures… all held together by Rebello’s multifarious, entertaining keyboard work. He has a terrific understanding of the ‘nuts and bolts’ of jazz (his Steinway-only interpretations of standards and folksong were brilliantly displayed in a recent acoustic trio gig at Kings Place with Stephen Keogh on drums and bassist Alex Davis). Here, he combines that mastery with his vast experience of touring over the years as keyboardist for the likes of Jeff Beck, Sting, Peter Gabriel and Joss Stone. The funkiest of electric bass and clav grooves open the show, celebrated soul singer Omar’s resolute tones delivering the catchy Know What You Need, Pino Palladino providing a fantastic ground for Rebello’s typically glittering piano and electric piano soloing. Sumudu Jayatilaka’s beguiling voice intertwines effortlessly with Rebello’s piano on The Man on the Train (with a hint, maybe, of Gordon Sumner in its sublime slower section) – and Troy Miller’s drums, the percussion of Miles Bould and Karl Rasheed-Abel’s acoustic bass provide the irresistible pulse. Bouncy 7/8 instrumental Without a Paddle, with cheeky contrary motion hook and Paul Stacey’s bristling guitar, is breathlessly compelling – so much going on, a real smile-inducer! Solid bass and pitch-bent synth characterise the beautifully-measured chill-out title track Anything But Look before Alicia Carroll’s soprano voice brings theatrical urgency to the more sinister Dark Night of the Soul, an intoxicating multitracked masterclass in Rebello’s considerable piano and keyboard prowess – breathtaking to listen closely. With Immediate Effect flows along with all the amiability of a Lyle Mays/Pat Metheny favourite, backing vocals, guitar and synth soloing the key to this likeness. Sadness-tinged ballad Is This How? 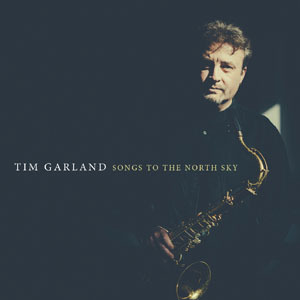 features the vocals of US jazz/R&B singer Will Downing and the adept, prodigious drumming of Rebello’s 14 year-old son George – a particularly beautiful, poignant and memorable chorus here; and young singer Jacob Collier’s precise wordless vocals are a perfect match for the bright keys of In The Thick Of It, jazz stalwart Tim Garland (on flute) adding to the lightness of touch. Joy Rose’s vocal warmth and dexterity in the deliberate, soulful New Joy symbolise the sincerity of this release, Miller and Palladino again creating a fantastic rhythm, Rebello and Garland just magnificent – joy all round! Concluding, Xantoné Blacq presents the uplifting, perhaps even spiritual lyric of Lighten Up The Load, the Latin flavour of Bould’s percussion and Rebello’s piano octaves taking us on our onward journey.